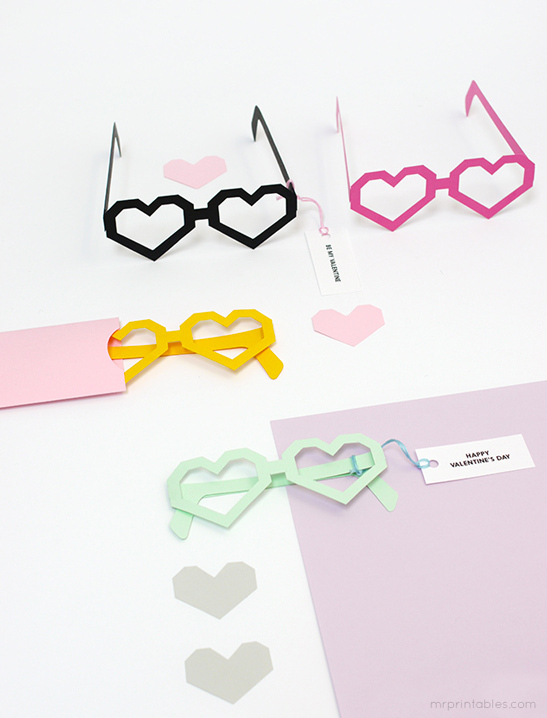 These heart glasses make fun Valentine's cards kids will love. 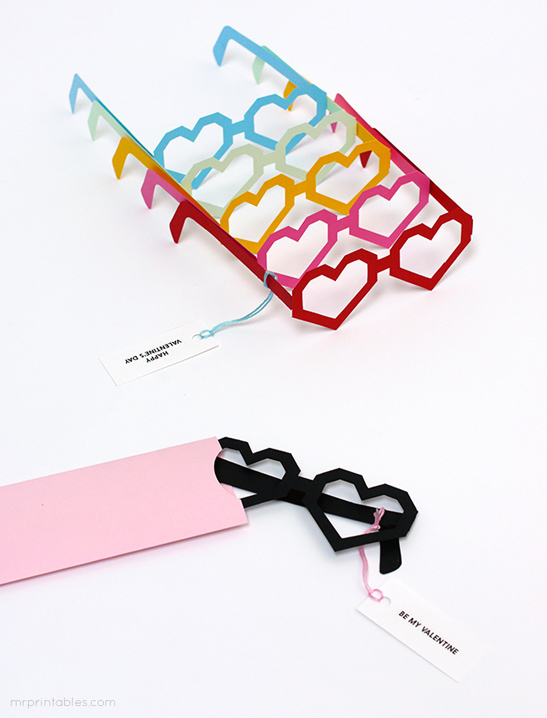 Use them for class Valentine cards and everyone can wear these funky paper glasses for the look of love! Or make a bunch for your Valentine's party for the guests to wear. We’ve seen great photos of super stylish kids wearing our paper glasses (see father’s day glasses and Halloween glasses). It seems like it’s becoming tradition here to wear some silly glasses for each holiday. 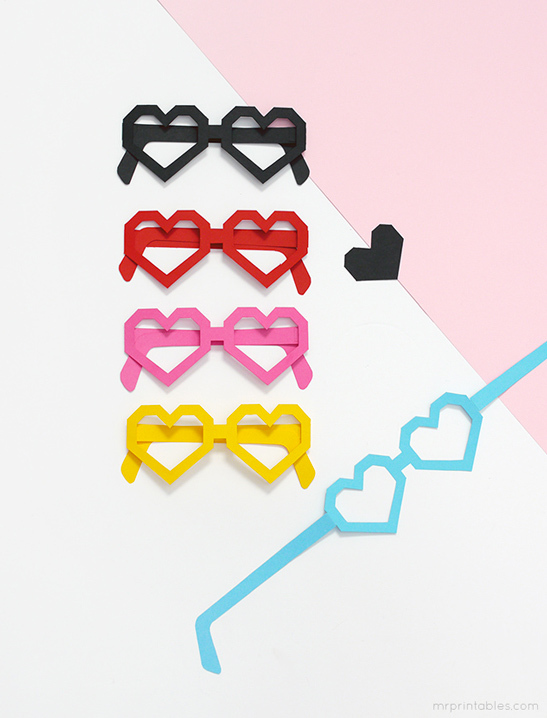 These heart glasses make fun Valentine’s cards kids will love. 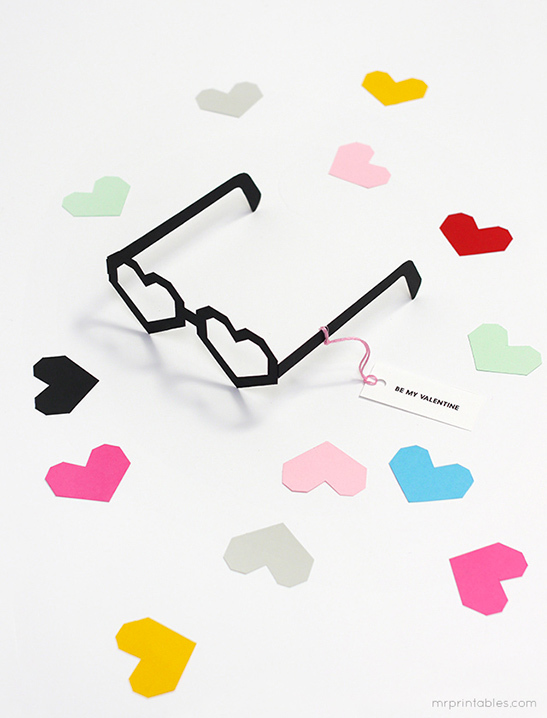 Use them for class Valentine cards and everyone can wear these funky paper glasses for the look of love! Or make a bunch for your Valentine’s party for the guests to wear. 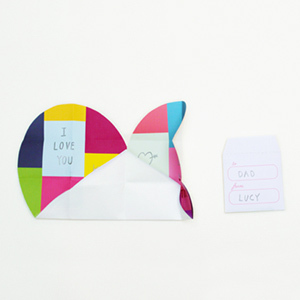 They are very simple to make, although you need to cut out the inside carefully with a craft/x-acto knife.You just need to print the outline template, trace around onto any of your favorite paper. We normally use black paper for the glasses, but for Valentine’s day, we also tried rainbow colors and they turned out very cheerful!